With the rise of services such as Zipcar that enable you to hire a vehicle for as little as a few hours, it may seem that this is the cheapest way to get around, and we thought so too. Zipcar is a ‘car club’ that allows you to hire a car for short periods of time (even just a few hours). You can sign up to monthly or yearly memberships that allow you to use the service in locations the cars operate. Ideal for travellers or commuters that require a vehicle for a short period of time. Or are they? 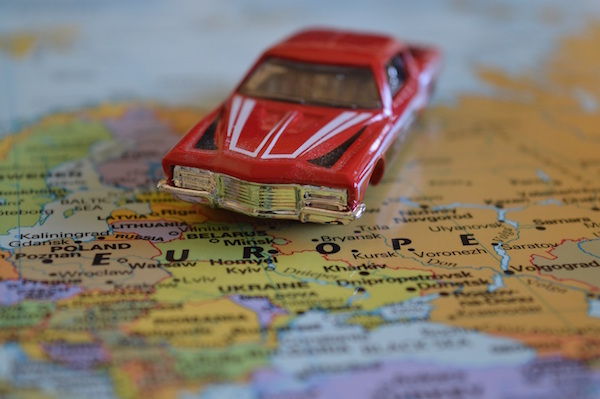 We selected 5 cities across Europe to compare the cost of hiring a car for three days, versus using a Zipcar for 15 hours over 3 days. Using the same weekend in January, we compared the cost of a standard 5 seater car across Hertz, Thrifty, Sixt and Avis, and found Thrifty to be the cheapest for 3 of our 5 locations. These seemed about right to us! Until we saw that you could rent a Zipcar for as little as £4.40 to £8.50 an hour… Your fuel is included, but the cars can only be picked up and dropped off in certain locations, and you may incur a £35 late fee if you don’t return it on time. You must also return it with at least 1/4 tank of fuel and in a clean condition, otherwise face more fines. Remember to be familiar with fuel policies when hiring a regular car to avoid any surprise fees! Once we calculated how much it’d cost to hire a Zipcar for 5 hours, for 3 days, we found that with 4 of our 5 locations, hiring a vehicle for a full three days was actually considerably cheaper – especially when you consider that the vehicle would be yours at any time of day you needed it! Yep, there are overnight charges on Zipcar for weekday hires! 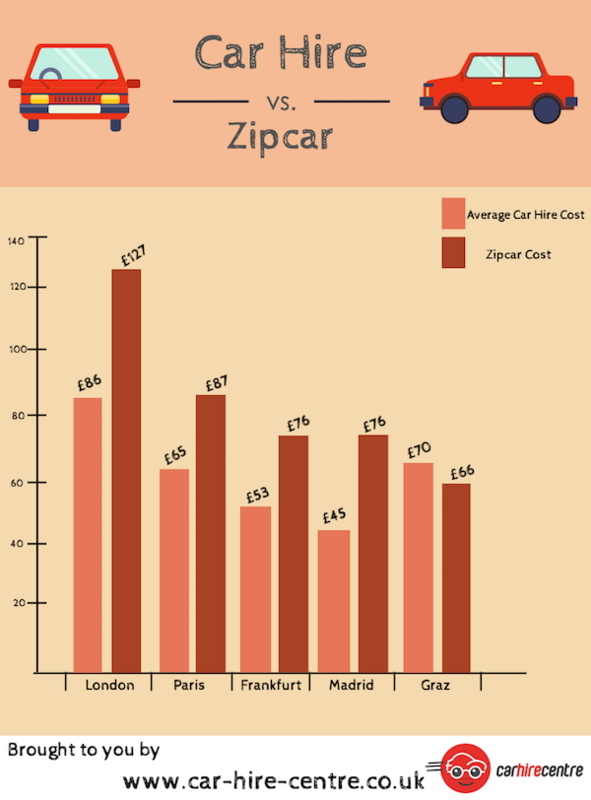 Zipcar offer 24hr rates in their UK locations, but starting at £54 in London, it’s quick to see it would end up costing a lot more! So, Car Hire or Zipcar? As we mentioned, apart from Graz, Austria, it was considerably cheaper to hire a vehicle as normal, rather than opt for a Zipcar. But don’t think we are just knocking Zipcar, they offer a great service! It’s maybe just more suited to those that need a car for a day, and not a weekend…! Have you used a Zipcar or equivalent service? Be sure to leave your comments below with your experiences!